Consult this sizeguide to determine your size. On the left Edith&Ella size labels, the other column gives our size advice plus bodymeasurements. New spring / summer collection of Edith & Ella! 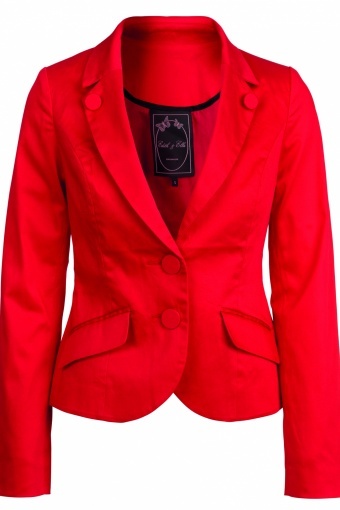 This elegant short blazer is the perfect item for your wardrobe. 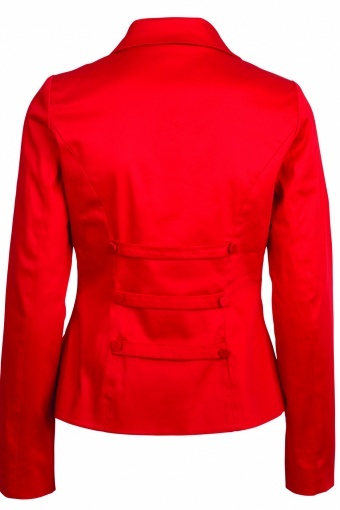 Made of a beautiful matt shine cotton with a little stretch for a super comfortable fit in red. Closure with 2 buttons, satin lined. With sassy buttons on the lapels and 3 straps on the back. Also in navy & camel. Weer helemaal " TOP " dit mooie colbertje.